Seaqaqa Police have applauded the work done by volunteers of the Fiji Red Cross Society (FRCS) in their clean-up campaign on Monday. The volunteers collected rubbish on roadsides at Seaqaqa. 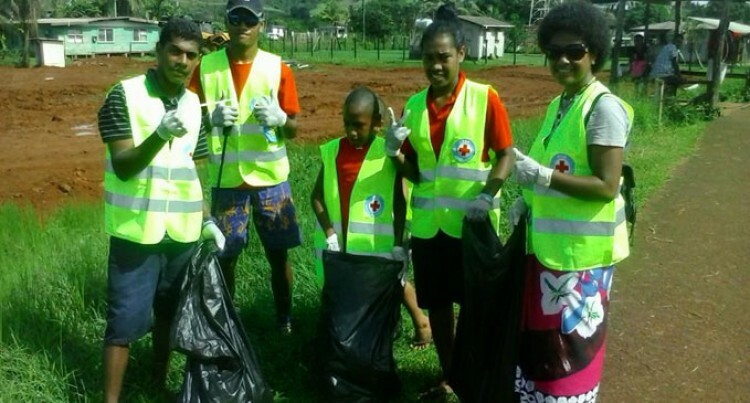 Youths of Seaqaqa during the clean-up campaign organised by Fiji Red Cross Society on Monday. Seaqaqa Police have applauded the work done by volunteers of the Fiji Red Cross Society (FRCS) in their clean-up campaign on Monday. The volunteers collected rubbish on roadsides at Seaqaqa. Seaqaqa Police Station officer in charge, Jona Semo said the volunteers had helped in the campaign for healthy living. FRCS Youth Champion Josefa Ravula they initiated the clean-up as part of their awareness programme in the elimination of violence against women and children. “Students are going back to school and this is the best way to involve them in such campaigns” he said.